The parish church of Ashby St Ledgers revels in the unusual dedication of the Blessed Virgin Mary and St Leodegarius. The saint was a martyred 7th-century French bishop, and the village draws its name from Leodegarius (or St Leger as he is known in France). 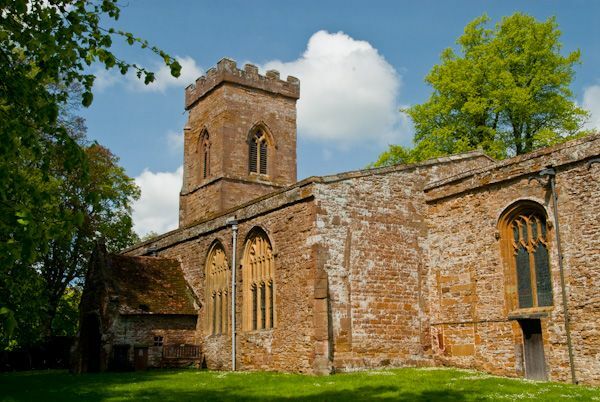 As for the church, it is a lovely building of local ironstone, constructed in the 14th and 15th centuries on the site of a 12th-century church. The structure is simple, with an aisled nave, chancel and north chapel, both north and south porches, and a west tower. Medieval glass fragments survive in the Perpendicular windows of both aisles. 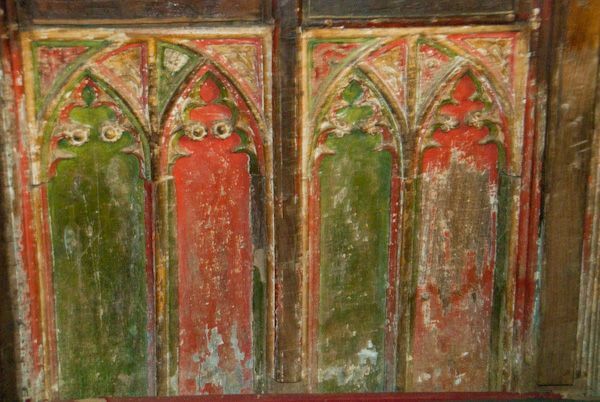 A lovely 15th century decorated rood screen stands between the nave and chancel, and on the nave side of the screen are several beautifully carved 17th-century box pews. There are further box pews in the aisles, including an unusual musicians' pew at the west end of the south aisle. 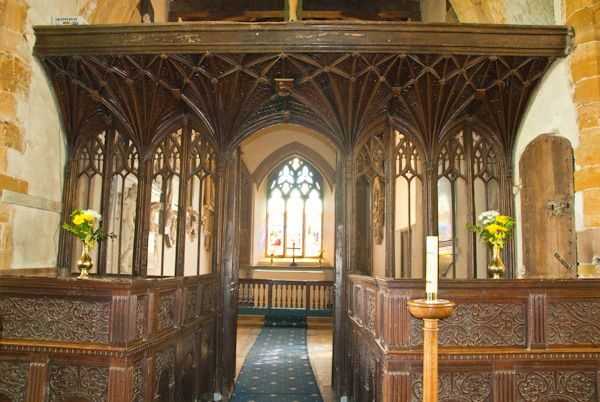 There is a triple-decker Jacobean pulpit and 17th-century altar rails. 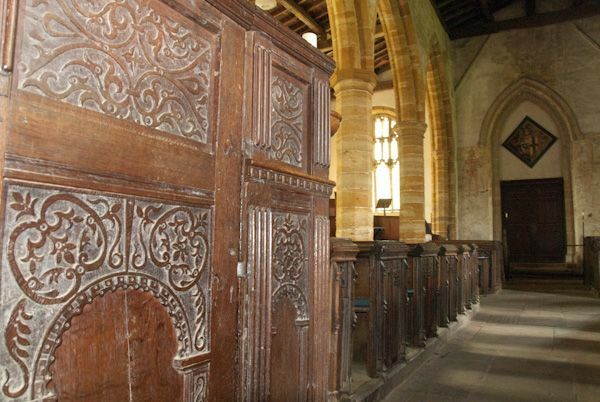 Aside from these interesting fittings, the church is well worth visiting for a number of well-preserved medieval wall paintings and memorial brasses to members of the Catesby family. The earliest of the paintings date to about 1325. 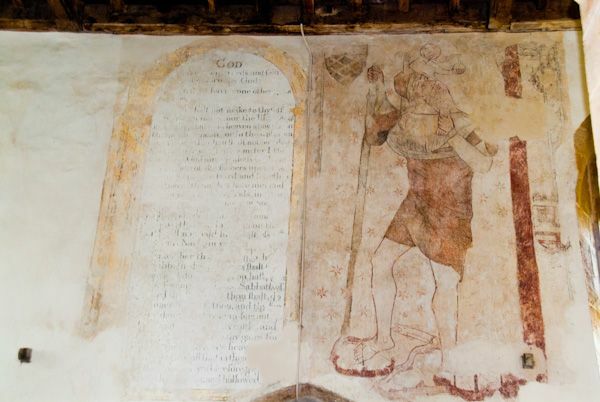 There is a 15th-century large painting of St Christopher on the north wall, facing the entrance. 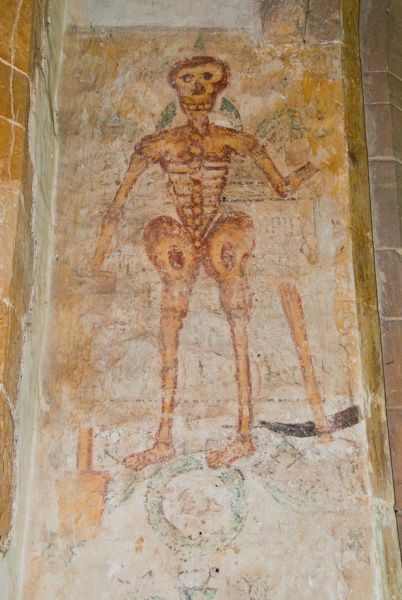 There is also a fascinating wall painting of a skeleton on the south side of the west wall, shown as a sexton. On the north side of the wall is a figure of Father Time. 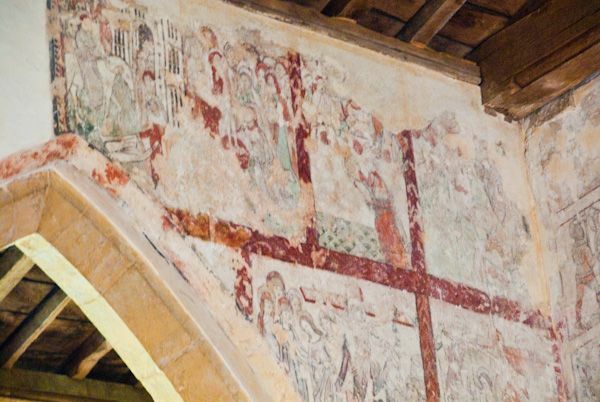 There are further large murals above the chancel arch. In the chancel is a brass to William Catesby (d. 1470), and another of his son, also named William. The younger Catesby was executed in 1485. 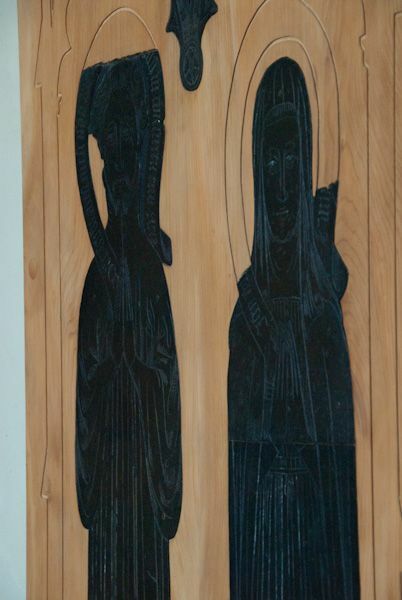 William's son George (d. 1505) has a brass in the south aisle, and there are further brasses to Thomas Stokes (d. 1416) and a priest named William Smyghte (d. 1510). 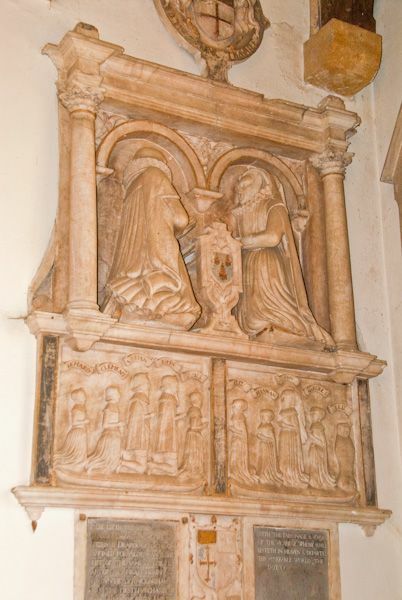 In the chancel are monuments to members of the Ashley and I'anson families dating back to 1634. 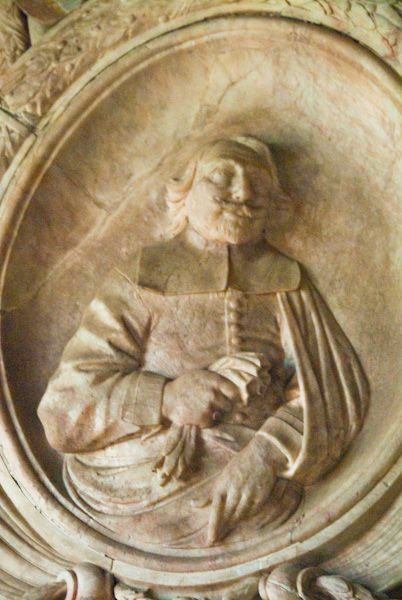 The wall monument to Brian I'anson, his wife, and 10 children is fascinating. It was obviously prepared well ahead to a template design, as part of the inscription reads, 'whose soul resteth in heaven & departed this miserable world the _ day of _'. 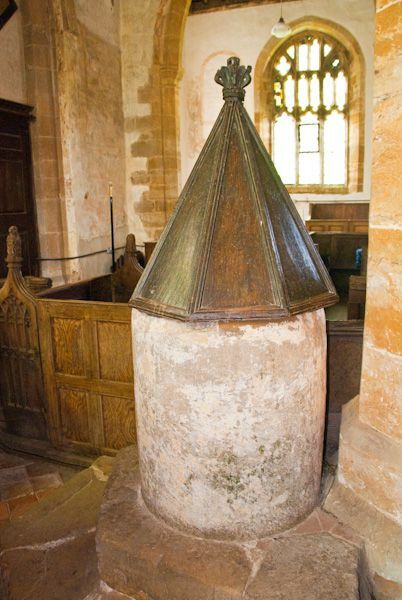 The large tub font is of a simple design, and looks like late Saxon or early Norman, though the church guide insists that it is definitely not Saxon! Immediately behind the church is the historic manor house, home of the Catesby family for many years. In a small half-timbered chamber over the gatehouse the Gunpowder Plot was hatched by Robert Catesby and his friends. This is a lovely church and well worth a visit. The paintings are wonderful, and the memorials are of the highest order.